The 'domestic church', family, is the first teacher of our children to a relationship with God and understanding their Catholic faith. 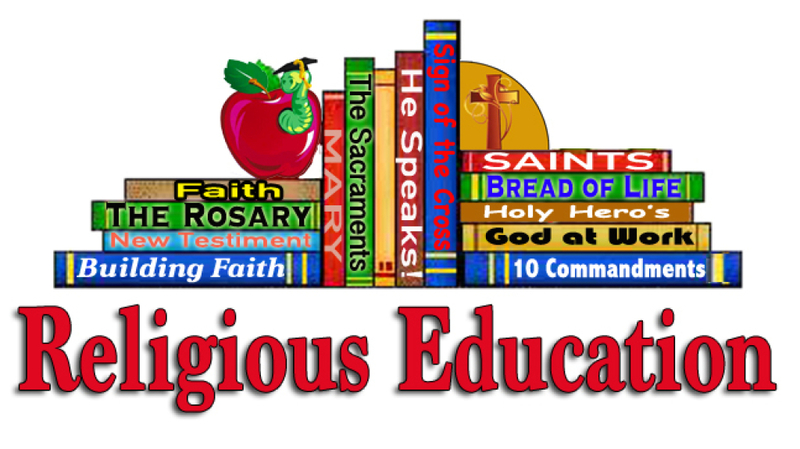 Religious Education continues that teaching in a classroom setting. Children, First - Eighth graders, are taught what it means to be Catholic Christians, our traditions, teachings, and beliefs. The children are prepared for the Sacraments of Reconciliation, First Holy Communion, and Confirmation. Classes are held throughout the school year and meet at McAleer Hall on Wednesdays at 7:00 p.m. For more information, or to register your child(ren), please call Sister Peggy, 372-2127.